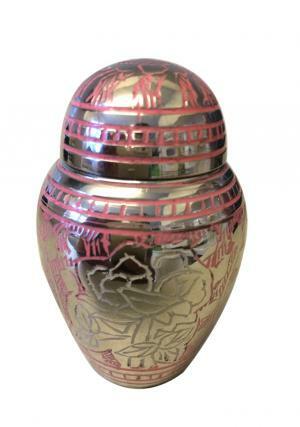 The pink rose engraved small keepsake urn is an hand crafted with pink background on brass metal. 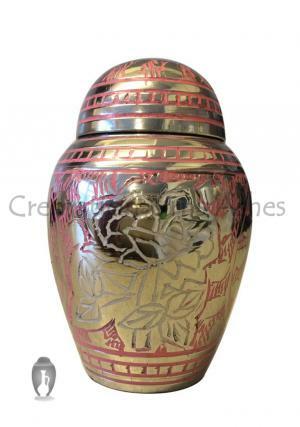 The mini urn has a hand designed silver border around the flower. 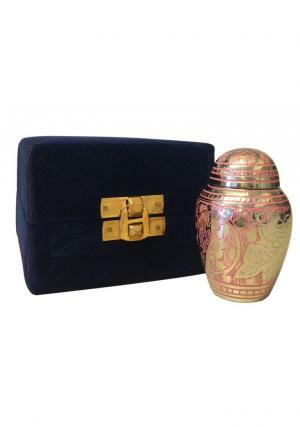 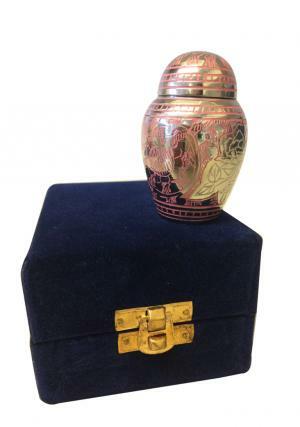 The funeral is cased in a velvet box and can be placed in a small space. 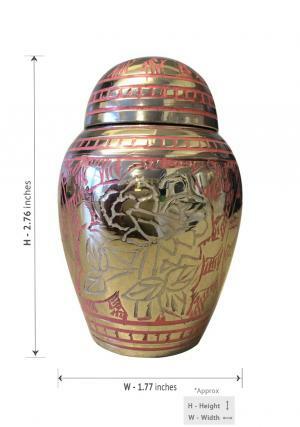 The keepsake urn stores upto 4 cubic inches of ashes in it.